Notes GM Restoration Parts. 6,000 rpm redline. 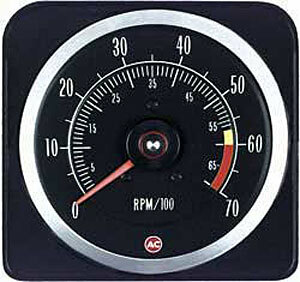 6 x 7 tachometer originally came equipped on models with 396 cu. in. engines with 375 hp.